Armed local militias in the Mexican state of Michoacan have forced a notorious drugs trafficking organization out of their town. Members of the citizens’ Self-Protection Police arrive at the Nueva Italia community in Michoacan State, Mexico. Armed vigilantes seized a cartel stronghold in the Mexican state of Michoacan on January 12 after a gun battle with suspected members of the notorious “Knights Templar” criminal organization. The vigilantes say they took up arms last year because the government did nothing to protect them from the Knights Templar, who extorted local farmers and raped and murdered local women. On its Facebook page, the Tepalcatepec “community police” force said that over 100 vehicles full of armed men took part in the move to occupy the town of Nueva Italia, which was successfully taken after a “light confrontation” at the city’s entrance. Once inside the town, the vigilantes disarmed local police, who are often accused of working with criminal groups in the state of 4.3 million people. Several Mexican media outlets reported the federal troops in the area observed the incursion but did nothing to intervene. On January 7, a group of 300 vigilantes took over Paracuaro. One member was reported killed in the incident, and 11 local police officers were taken into the group’s custody. 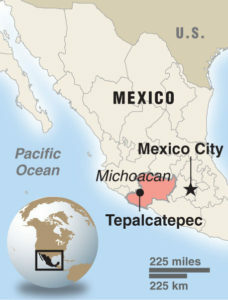 Several smaller communities in Michoacan’s “Tierra Caliente” (Hot Country) region were also taken over by members of civilian militias last week, leaving them in control of much of the area around the city of Apatzingan, which is considered the headquarters of the Knights Templar organization. The Knights Templar emerged in 2011 and is largely made up of former members of the Familia Michoacana cartel, which split up after leader Nazario Moreno Gonzalez was gunned down in a clash with Mexican authorities in December 2010. Michoacan was the first state to which Mexico’s army deployed after former president Felipe Calderon decided to launch a military crackdown on drug cartels in 2006. Since then, drug violence has left more than 70,000 people dead across the country as criminal organizations battle each other and the security forces. After three years during which no one has been infected with polio, India will be officially declared rid of the disease. January 13 was the third anniversary of the day Rukhsar Khatun was diagnosed and the third consecutive year India has not seen a single new case. It means the country is now officially ‘polio-free’ and will receive its certification in March. Among them was the high population density and birth rate, poor sanitation, widespread diarrhea, inaccessible terrain and reluctance of a section of the population, notably members of the Muslim community in certain pockets, to accept the polio vaccine. According to World Health Organization (WHO) reports, India is one of the largest donors to polio eradication, and till 2013, India had contributed $2 billion towards polio eradication programs. 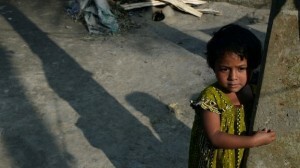 WHO officials declared India polio-free on January 13, which means the virus has died in the environment. New cases, if any, would be caused by the infection coming in from another country. It is indeed seen has a victory for the fight against polio, as in 2009 India had 50 percent share in the world’s polio cases. With India off the list, there are only three more countries in the world which are still polio-endemic – Afghanistan, Nigeria and Pakistan. A country that had 150,000 polio cases in 1985 completely ridding out the virus is indeed a milestone. However, the country’s polio eradication program will have to stay on track, as there are still places where immunization programs are yet to be accepted by local communities. Americans attending the Games “should remain alert regarding their personal security at all times” and “remain vigilant and exercise good judgment and discretion when using any form of public transportation,” the advisory urged. The Federal Security Service of the Russian Federation has said 100,000 security personnel would be on duty at the Games and around Sochi. Beyond Olympic- and Georgia-specific concerns, the State Department also reiterated basic tourist-awareness tips regarding theft, muggings, taxis, lodging, credit cards and documents. As is standard for much travel abroad, the State Department recommended signing up for its Smart Traveler Enrollment Program, in addition to sharing itineraries with family, friends and co-workers. The State Department offers more detailed information and recommendations on its Georgia site. 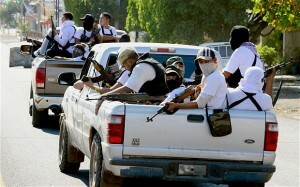 b) Why have the residents of towns in Michoacan state taken it upon themselves to drive drug cartels out of their towns? c) How did the Mexican military react to the vigilantes actions in Nueva Italia? d) What 1 or 2 words do you think best describe the actions of the men of Michoacan taking up arms against the drug cartel? Explain your answer. b) Name the last 3 countries which are still Polio endemic. c) Polio vaccines have eradicated the disease from most countries in the world. Why is it so hard to stamp out the disease in these other countries? 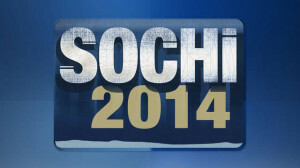 b) What specific warnings/recommendations did the U.S. State Department issue to Americans traveling to the 2014 Olympic Games in Sochi, Russia? c) What assurance has the Russian government given to visitors? d) If you or your family were planning to attend the Olympic games in Sochi, would the Russian government’s assurances on safety make you feel more secure during the games? Explain your answer. Dr. Hamid Jafari, head of the Global Polio Eradication Initiative at the World Health Organisation, said many had believed it impossible to stop the disease’s transmission in India. He coordinated the work of local doctors, district magistrates and global charities like the Bill and Melinda Gates Foundation, to immunize more than 170 million children on two National Immunization Days in 2011 and then continued the program over the following three years in a race with the disease. Their greatest challenge was in two of India’s most backward states, Bihar and Uttar Pradesh, where high birth rates, large migrant populations and poor sanitation make the ideal conditions for polio to spread. He said the Indian government’s commitment was a key factor in killing off the disease. “When there were periodic outbreaks, which were disheartening, they stayed the course. Half a million children are born every month in Uttar Pradesh alone. You can change the speed of coverage needed to vaccinate children. We were in a race with the virus. District magistrates played an important part in [ensuring] the rigour of implementation, the high quality of mentoring and surveillance data to plug the operational gaps, this all came together in India,” he told the Telegraph. Now the campaign will turn to Nigeria where the number of cases were halved last year, Afghanistan where infections fell from 30 in 2012 to eleven last year, and Pakistan, the final frontier. Polio cases there increased by from 58 cases in 2012 to 85 last year, with vaccination teams under siege from Taliban militants who suspect their work is a front for spying on them – since July 2012 more than 30 health workers and guards administering the vaccines have been killed. Doku Umarov is a widely known Chechen rebel leader. 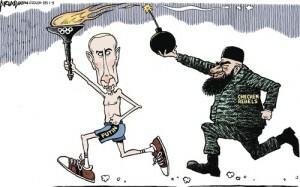 Chechnya is predominantly Muslim. In 2011, the U.S. declared Umarov’s group a terrorist organization and offered up to $5 million for information leading to his capture. Umarov’s Islamist group is blamed for bombing a Moscow airport in January 2011, two subway stations in 2010 and a Russian train in 2009. In July 2013 Umarov urged his fighters to “do their utmost to derail” the games, which he described as “satanic dances on the bones of our ancestors.” ”We have the obligation to use all means to prevent this,” he said in a video posted on a rebel website. 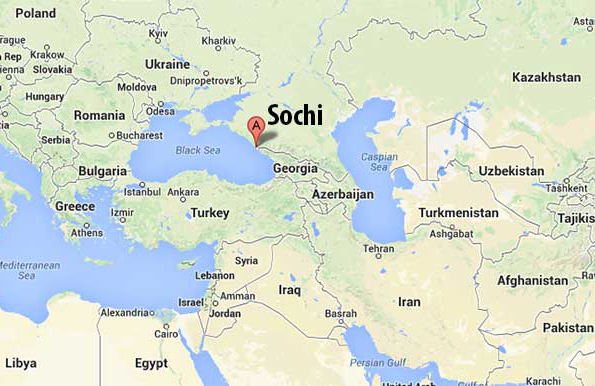 Security experts have said the Islamic insurgency raging across the North Caucasus mountains that tower over Sochi is a daunting threat to the games – although rebels have not attacked Sochi so far. Dagestan, which lies about 300 miles east of Sochi, has become the center of the insurgency that spread across the North Caucasus region after two separatist wars in the 1990s in neighboring Chechnya. Rebels seeking to carve out a caliphate, or Islamic state, have targeted police and other officials in near-daily shootings and bombings. Umarov is believed to be their most influential leader.